Social media is used today more than ever, whether this is via Facebook, Twitter, Instagram or LinkedIn or the lesser more niche apps. Ultimately, it means there is a vast amount of data and information for businesses to tap into to advertise their products/services. Yet, not all social media platforms are ideal for every business. Some will be more relevant than others depending on the types of businesses, industries and messaging you want to target. In the end, your decision will come down to your audience, your budget and the type of targeting you require. For example, a local hairdressers or beauty salon would benefit more from Facebook/Instagram to promote their products and services direct to their audience base, whereas a company providing a service such as training and qualifications within the workplace (B2B) should be active on LinkedIn for their audience. And in some rare instances, Social Media won’t be right for them. So why is social media important for businesses? Find out more about your audience – online analytics provide you with the ability to track your audience and find out how they interact with your business, which can ultimately feed into a wider range of marketing activities. 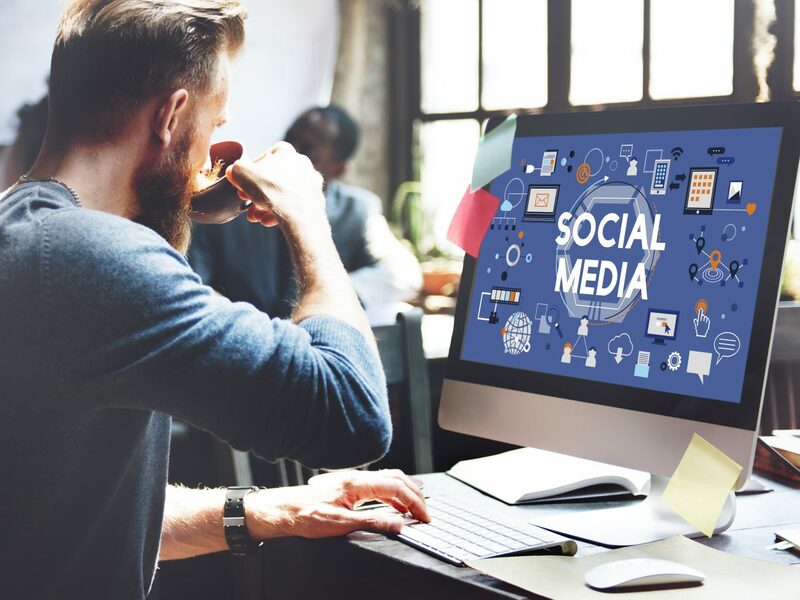 The more you use social media, the more you learn about your customers’ behaviour which feeds into your marketing strategy, and so the cycle continues. Reach users that matter to you – once you find out about your audience, you can get your business in front of prospective customers through extremely targeted marketing, focusing on region, industry and sector and narrowing search criteria down to specifics such as gender, age, city/town/village, audience interests and behaviours. Crisis communications – Being active on social media allows you to be able to deal with any sort of crisis that occurs within your business in real time: you can respond to direct messages and enquiries immediately. And in the event of a crisis, it allows you to be instantly reactive to quash any customer concerns. Engage with customers in real-time –You can interact with your audience by commenting, liking, re-posting and direct messaging 24/7. It isn’t just about selling your products/services, social media is about building relationships online, communicating in the right way and building your brand reputation. Tip: Did you know that the quicker you respond to a message, the higher your ‘response time’ is rated on a number of social media channels? It all helps to build your company’s excellent reputation. Generate leads and sales – social media is a fantastic channel to generate leads and sales. Advertising via social media allows you to target new and existing clients via a relatively low-cost channel and contributes to direct or indirect sales. Some users may not have set products to promote everyday but use it like department stores/ hairdressers to build a relationship with their customer and bring the in-store environment to the customer, so their brand is front of mind when they are ready to purchase or recommend to a friend. So, if you don’t use social media for your business, or you’re not very active on the channels you have set up, set your business goals, work out what you want to gain in return on investment, decide how frequently you will post and stick to your strategy. If you’re not sure which channels are right for you? Or not sure where to start, we can create your social media marketing strategy to get you on track. Get in touch with the Stone Create team, we’ll be happy to help.